Question 1. As an analyst of education policy, was Gonski 2.0 what you were expecting? When the federal government commissioned this report, one could almost hear a collective sigh among education experts and stakeholders across the nation. The risk was always that this report would produce yet another list of tips and tricks about “what works” in schools, which would do little more than reinforce what we already know from existing research. Sceptics have been proven both right and wrong in this regard. On the one hand, as I argued in a piece for the Conversation last week, the report reflects a smorgasbord of popular ideas that have been doing the rounds for some time, such as John Hattie’s mantra that young people should gain “a year of learning growth from a year of schooling”, along with well-worn claims about the importance of quality teachers, early years learning and school leadership. These arguments are entirely unsurprising. For the most part, these ideas tell us nothing new. Even worse, the reinforcement of these ideas largely repeats, but often not as clearly, previous reports that have recently been conducted into effective practices in schools. Take, as just one example, the 2017 report ‘High impact teaching strategies: Excellence in teaching and learning’,released in Victoria last year. In many ways, that report was much more readable, usable and succinct than Gonski 2.0. On the other hand, however, while Gonski 2.0 does all these unsurprising things, it is also radical in parts, particularly in terms of its position on overhauling core aspects of curriculum, assessment and reporting. For example, a central idea in the report, to move away from an age-based curriculum and towards one based on learning progressions, is a very radical proposal and one that should not be taken lightly. Other ideas, like instilling a ‘growth mindset’ in students, also appear to come out of left field to some extent and are presented in ways that do not sufficiently reflect existing research. But I’ll come back to the growth mindset in a moment. Question 2. I can’t decide whether Gonski 2 heralds a revolution in education in Australia – you called it ‘deeply radical in scope and vision’ in your piece for The Conversation – or whether the lack of detail means it will change little. Where do you stand on that? I think it’s important to distinguish between the world of rhetoric and recommendations, on the one hand, and the actual translation of ideas into policies and practices, on the other hand. With this report, I do think that some of the recommendations concerning curriculum, assessment and reporting are radical and, if implemented, would require a monumental reworking of the teaching and learning process. Discarding a curriculum structure based on year levels, for example, might sound very agile and innovative in theory, but, in practice, could be a logistical nightmare for teachers working at the chalk-face. I think we need serious debate about whether these ideas pass muster before we charge forth into the reform wilderness once again. This is especially the case given major reforms and investments over the past decade have had little or no impact on student achievement. So why should we think another round of major surgery will work this time around? From a different angle, as a researcher with a strong focus on federalism and national schooling reform, I also think the report, being a federally-commissioned report, is radical given the extent to which it seeks to overhaul schooling policies and practices that are ultimately state responsibilities. Nearly all of the recommendations in the report relate to state responsibilities. I’m interested in how it is that schooling policy has evolved to the extent that we now have the federal government playing such a heavy hand. For example, as part of my current Australian Research Council grant, I’ve conducted a very large number of interviews with senior bureaucrats across the nation, and the overwhelming message from state-level policy makers is that while they accept the federal government has an important role to play in schools, the past two decades of reform represent unprecedented levels of federal government overreach into schooling. While there have certainly been positive examples of ‘collaborative federalism’ at work, most feel recent years have started to veer towards more of a ‘coercive’ form of federalism, where we have the federal government consistently trying to re-shape the work of states in line with federal political agendas, especially through the use of conditional funding. Gonski 2.0 is exemplary of this tendency and I can tell you first hand that policy makers I’ve spoken with over the past week have great concerns about it from this angle and many others. Question 3. Which proposals are, in your view, supported by evidence? Most of the things I see as logical and convincing in the report are things we’ve already known for many years. We are told early years learning is important. Yes, it is. We are told quality teaching is important. Yes, it is. And so on. I’m much more sceptical, however, with regards to the core proposals relating to curriculum, assessment and reporting, and also with regards to the romantic emphasis on the idea of ‘growth mindsets’. As I said, I see such ideas as far from easy to implement, potentially very costly, and lacking strong enough evidence to justify an overhaul of arrangements at the national level. Once again, on the recommendation to abandon a year level curriculum, is this really the biggest issue in Australian schooling right now? Is it really the most important reform agenda to be investing in? I’m not convinced it is. I really think we need to take a step back and ‘slow the row’ before getting caught up in ideas that might, on a surface level, appear enticing to some, but, in practice, could be disastrous to implement. There’s simply not enough evidence to suggest doing away with year levels would have any major positive impact. The report seems to make a big leap from canvassing ideas relating to the potential benefits of doing so, to arguing that it should happen. But a really major step in the middle has been missed: that is, conducting rigorous research to find out if doing so actually has the desired result in a diverse range of Australian schools. In other words, such a major change shouldn’t just be uncritically accepted and rolled out across the nation without significant testing through pilot programs, evaluations and so on. Think of the corporate sector. Major businesses like Apple or Google don’t just take ideas that sound good in theory, but lack a solid research base, and roll them out globally. Instead, they undertake rigorous and targeted evaluations to understand impact before making an informed decision to roll out something new. I’m concerned that this report has jumped the gun, straight to the “let’s implement!” phase. And unfortunately, the federal government seems to be supporting the idea without subjecting it to the critical appraisal it deserves. My other major concern about the idea to abandon year levels is that I worry that this debate verges on being a major distraction from the key issue that drove the first Gonski report: that is, tackling inequalities in Australian schools through fair and redistributive funding reforms. As the first Gonski report argued, we have “unacceptable links” between young people’s socio-economic backgrounds and achievement in schools. Will moving away from a year-level based curriculum do anything to address this fundamental structural problem? I don’t see how it will do anything in this regard. Question 4. Are there any other flaws that you can see in the proposals? In addition to what I’ve already said, I do have some concerns that the report is trying to be a bit too hip and progressive, drawing upon contemporary ideas that might appear to sound good in theory, but, in some cases, are not backed by compelling evidence. Let me return here to the idea of instilling a ‘growth mindset’ in students. Let me say two things about this. First, the report is highly selective in the evidence it does and doesn’t use. Put simply, it features research that reflects positive ideas about growth mindsets, while ignoring evidence that provides a more negative appraisal. For example, a major study recently published in the leading journal ‘Psychological Science’ has essentially debunked the idea that interventions in schools that seek to instill a “growth mindset” in students have any meaningful impact on student achievement. Yet this major study isn’t cited at all in the Gonski report. So, before we get too excited about pop-psychology, I want to see compelling evidence that Australian taxpayers money should be tied to interventions based on a theory that is being widely debunked. Second, as a sociologist of education, I think we need to be very careful about claims being made about social class in growth mindset theory. For example, many psychologists, with vested interests in promoting the mindset agenda, argue that wealthy kids are more likely to have ‘growth mindsets’ and poor kids are more likely to have ‘fixed mindsets’, and the Gonski report uncritically embraces this work. I can tell you, I’ve worked in some of the most disadvantaged schools in the Western world and when I arrived at work in the morning, the challenges I faced weren’t poor kids with fixed mindsets. Instead, I had poor kids who hadn’t had breakfast, who were shivering because their parents couldn’t afford uniforms, or who were suffering trauma from their time in refugee camps. Mindsets had nothing to do with it. As a final point, in terms of flaws in the review, I actually think the review has missed the mark to a large extent in terms of actually delivering on its aims. For example, the primary purpose of the report was to “focus on the effective and efficient use of funding to improve student outcomes and Australia’s national performance”. In other words, it was supposed to tell us how to better use extra money being committed to schools. Instead, I think it has veered into some interesting territory and areas that in many cases have only tenuous links to its aim. In some sections, it reads more like (yet another!) review of the Australian Curriculum, which was not what it was intended to be by any means. 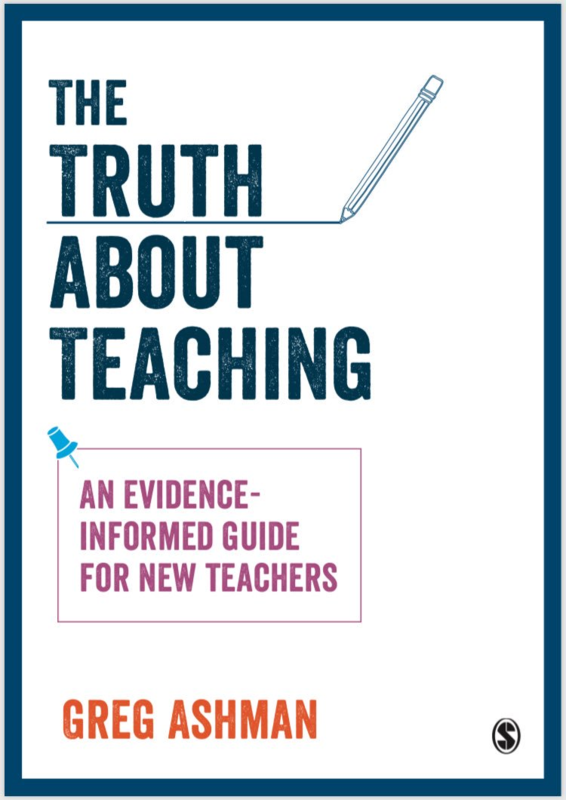 I think there’s a big difference between identifying strategies that have proved effective in classrooms, which this report does in parts, and actually showing these practices to be cost effective, which this report often doesn’t do. In my view, the report provides a general review of ‘good practices’ but does much less to make a convincing case that these practices are the best use of taxpayer’s money. Even worse, it actually proposes a range of new major changes that would be potentially very expensive to implement, which raises a question about whether the review helps tackle cost effectiveness or adds new costs into the mix. Question 5. How would you characterise the ideology of Gonski 2? Is it neoliberal, educationally progressive, something else? I don’t think the report reflects any clear or identifiable ideological agenda. In terms of neoliberalism, I think we’re at a point where neoliberalism risks meaning everything and nothing at the same time. I try not to use it too often in my current work unless I think there is a compelling reason to do so. As I have written previously, my view on neoliberalism is that it primarily refers to modes of governance that rest on modes of reason (i.e. ideas and ways of thinking) derived from the field of economics, which assume that individuals are inherently economic beings and that markets are the most effective means for governing populations. We can tag neoliberalism as being various other things, but ultimately, I see this ‘economic rationality’ as being the core. If we proceed with this understanding, then could we see Gonski 2.0 as reflecting neoliberal tendencies? Maybe, maybe not. For example, if this was a debating competition and you asked me to try to convince you that the report was neoliberal in nature and scope (which in reality, I have no inclination towards wanting to do), I’d probably pick up on the idea that many of the proposed changes in the report, particularly those resting on technological advancements, could powerfully open the door to edu-businesses, and create new opportunities for edu-preneurs whose work seeks to profit from translating “what works” into action in the classroom. There’s other aspects I could also include, but would be less convincing. Ultimately, I just don’t see the term ‘neoliberal’ as providing the most compelling lens through which to understand this particular report. In terms of ‘progressive’, maybe that word makes some sense in this context. But again, it depends on how we understand the term and put it to work. With regards to curriculum, the term has some purchase in relation to the popular binary between a so-called traditional or conservative curriculum that is more discipline and knowledge-based, versus a so-called progressive curriculum that moves in new directions such as a focus on skills, competencies and capabilities, all of which Gonski 2.0 celebrates. But I don’t like this binary and I think we need to be careful in buying into these polarised debates. Having taught curriculum theory for many years, my personal view is that I think we need to be careful not to get caught up in curriculum fads that do much to celebrate the notion of transcending so-called ‘siloed disciplines’ in favour of what, in reality, can often be an atmospheric assemblage of dispositions we’re apparently supposed to structure learning around. Question 6. Gaze into your crystal ball… How do you think Gonski 2 will play out from here? I’m inclined to think that many of the more radical ideas in the report will be either scaled back significantly or will fall off the radar entirely. Last week I did a lot of media interviews and one of the main messages I tried to get out there was that the nation is already suffering significant ‘reform fatigue’ from the last decade of unprecedented changes in areas such as curriculum, testing, teaching standards, reporting and school funding. My current research suggests there is limited appetite for further major changes among key stakeholders. I also think it’s very likely, and for good reason, that significant resistance would come from within schools if the more radical reform ideas were to be advanced. I also think much political water needs to pass under the bridge. As I said earlier,nearly all the recommendations relate to state responsibilities. Federal education minister Simon Birmingham met with state and territory education ministers to discuss the report last Friday, but we’re still a very long way from securing support in order to translate the recommendations into a national response. And, of course, there’s also a bigger question about the next federal election. Will the Coalition retain power? If not, what would Labor’s approach be to the recommendations in the report? So, as is often the case with schooling reform, many questions remained unanswered. What a great read! Thank you Greg and Glenn.